Domestic Violence - Moral Reconation Therapy - MRT® distributed exclusively by Correctional Counseling, Inc.Moral Reconation Therapy – MRT® distributed exclusively by Correctional Counseling, Inc. 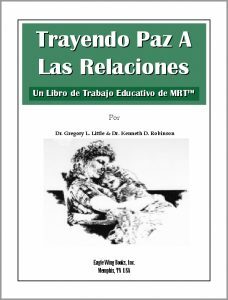 Domestic Violence - Moral Reconation Therapy - MRT® distributed exclusively by Correctional Counseling, Inc. 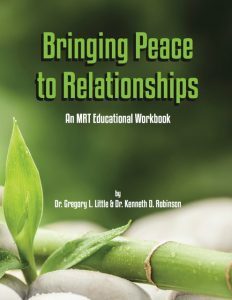 The MRT-Moral Reconation Therapy® – domestic violence workbook is used with many batterer programs as the primary treatment method. 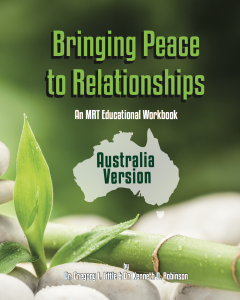 The domestic violence workbook, Bringing Peace to Relationships, available in Spanish and customized for Australia. is divided in 24 modules with each module completed in a group session. Clients complete homework for each module prior to coming to a session. In group, each client presents his or her homework and the facilitator passes the client to the next module — or has the client redo the homework based on objective criteria. All domestic violence MRT groups are open-ended, meaning that new clients can enter an ongoing group at any time. Each group session will usually have new clients as well as some finishing the program. 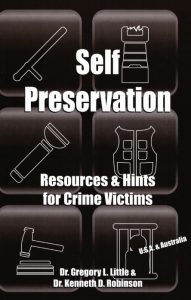 Self Preservation is a go-to resource for victims of criminal activity including victims of domestic abuse and is applicable in many settings. All MRT domestic violence facilitators must complete domestic violence MRT training.